Click here & get to know all the great shops & services at Dwarsloop Mall. Dwarsloop Mall is open! Situated on the arterial R40 between Hazyview and Hoedspruit at the major Thulamahashe intersection Dwarsloop Mall is owned and Developed by New Africa Developments. 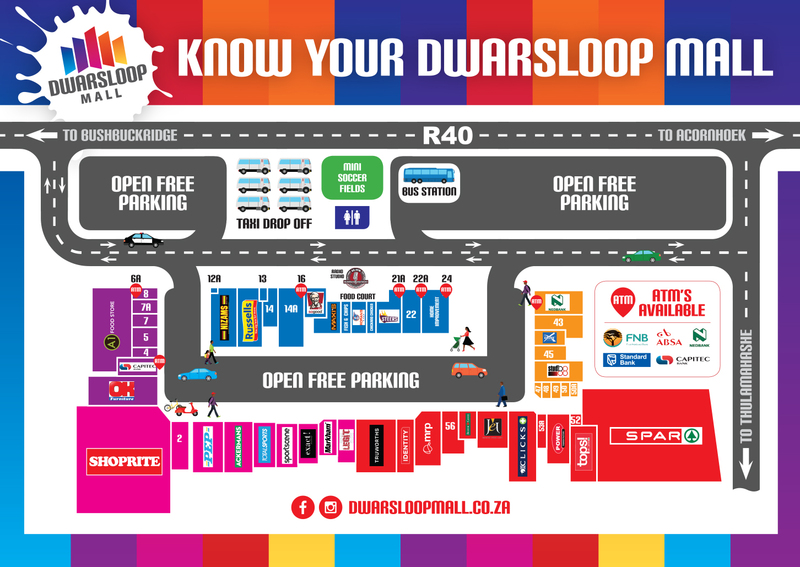 Dwarsloop Mall has more than 50 stores, including Shoprite & Spar and a selection of fashion stores, restaurants and banks. Visit our Facebook page for more news and updates.